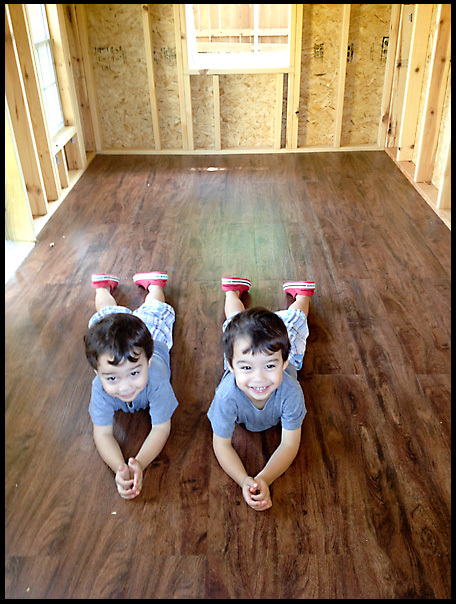 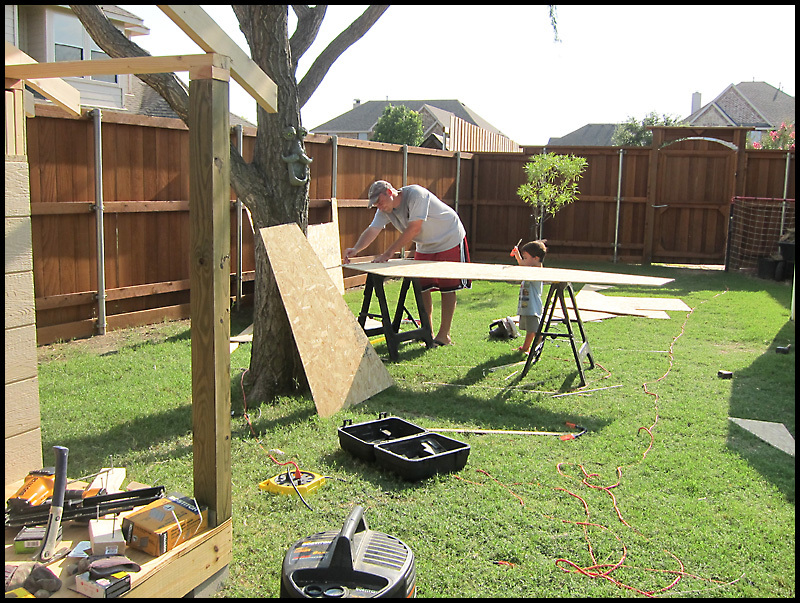 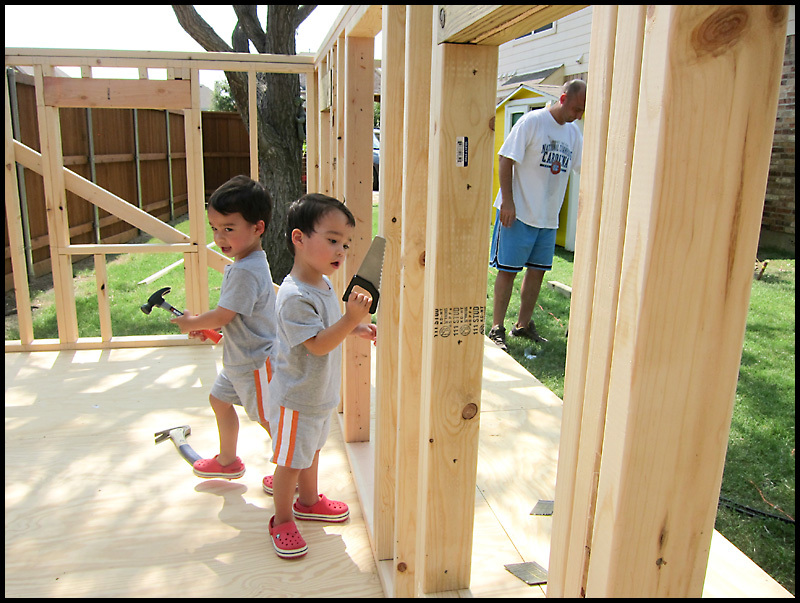 For the boys' 3rd birthday, we decided to build the boys a playhouse. 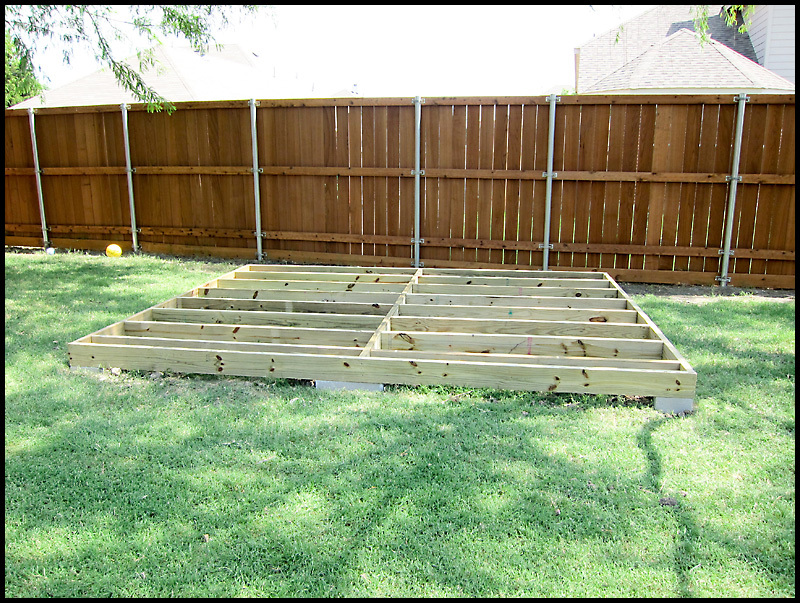 The pictures below cover a span of exactly three months... starting on May 25 and ending on August 25. 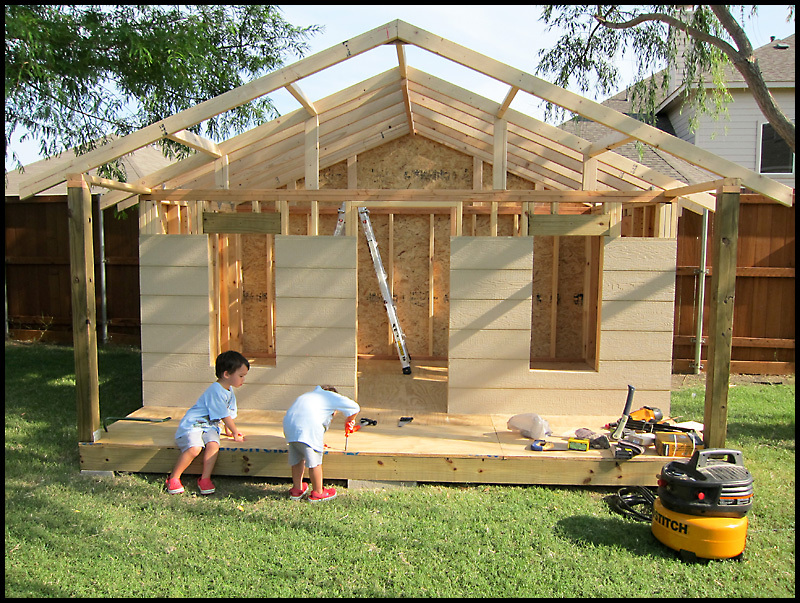 We had hoped to finish by the boys' birthday on July 15, but a huge delay with receiving the side windows pushed back our entire schedule. 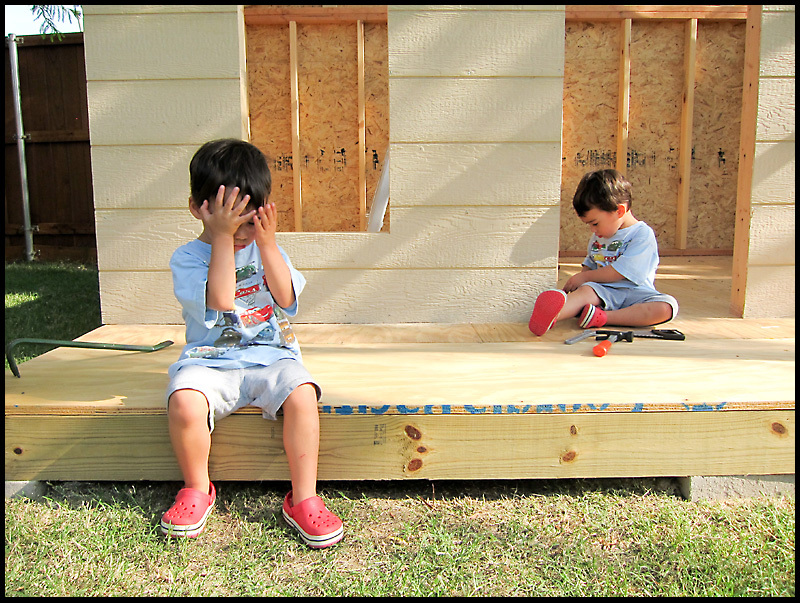 I don't think the boys minded though! 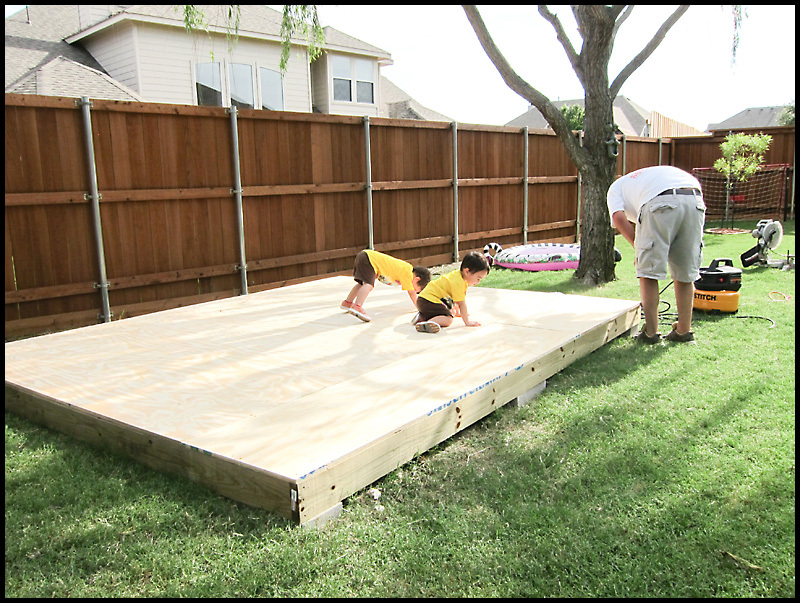 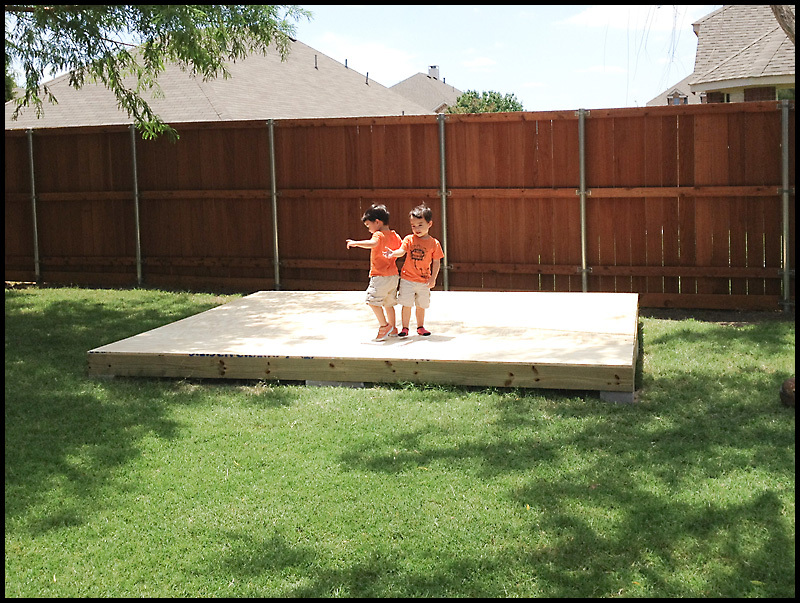 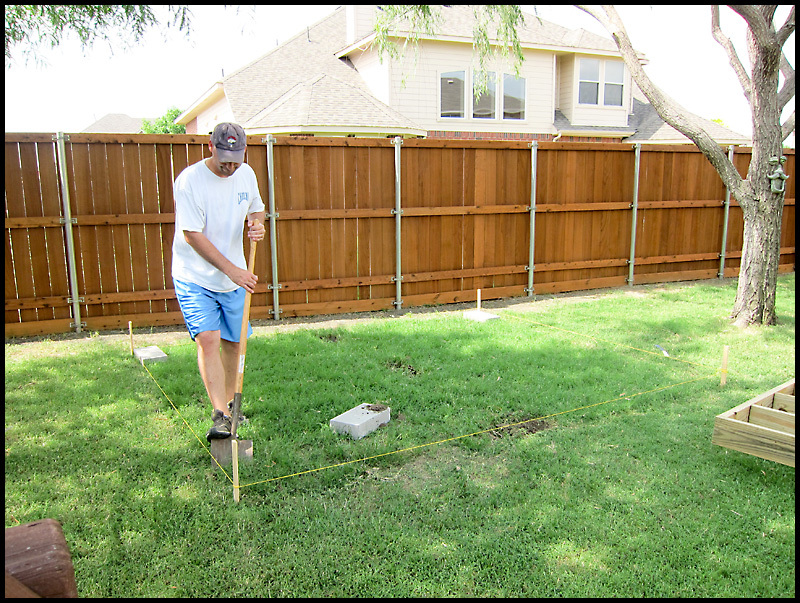 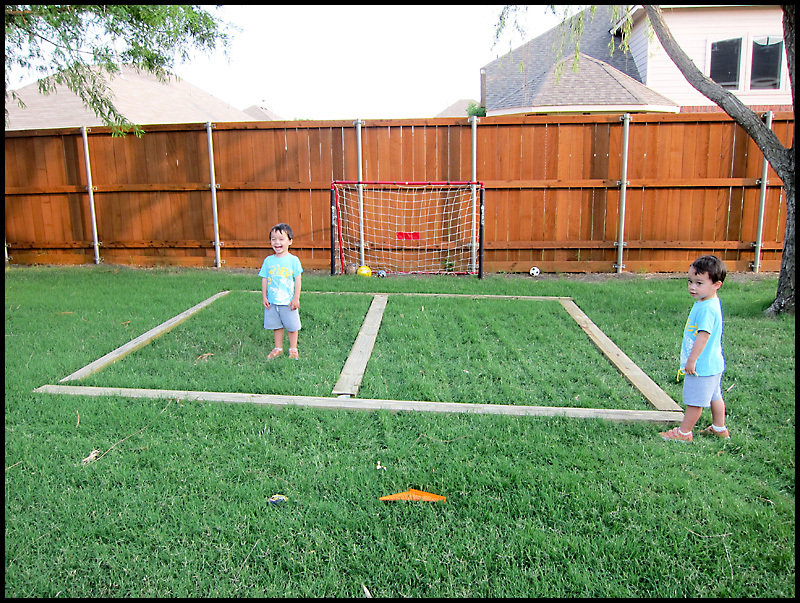 First step: Deciding exactly where this gigantic 12' x 10' playhouse will sit in our backyard! 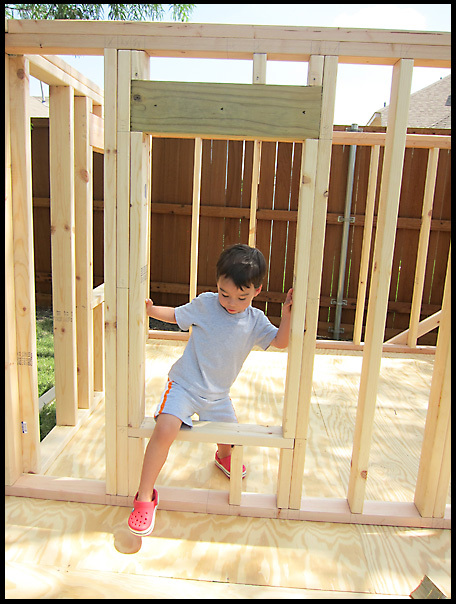 Mommy lounged on the playhouse floor and enjoyed the gorgeous spring day while everybody else was hard at work! 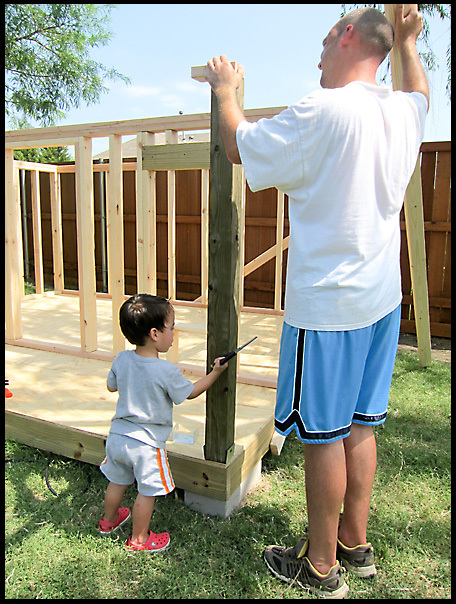 Ben made sure dad's measurements were correct! 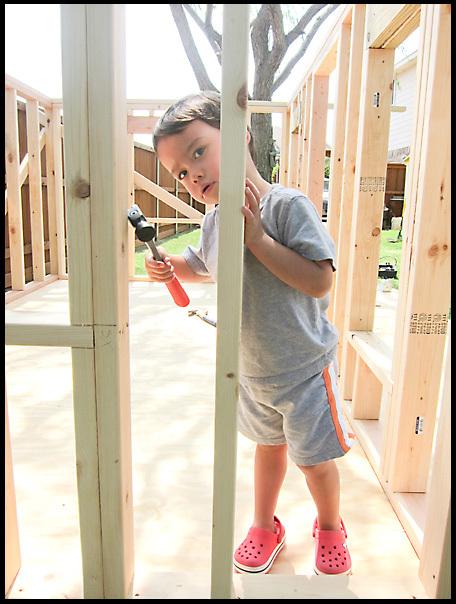 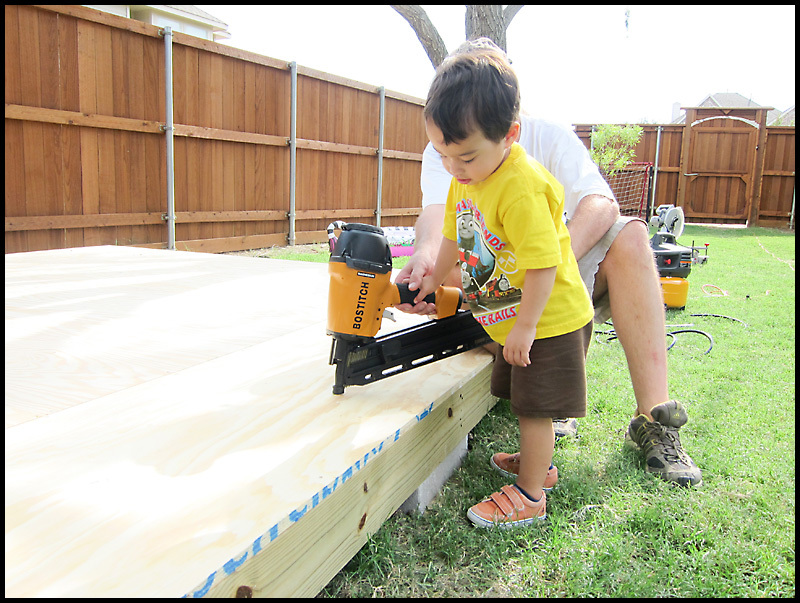 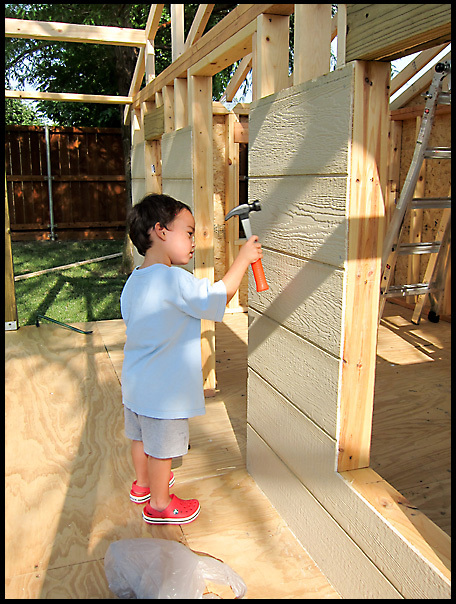 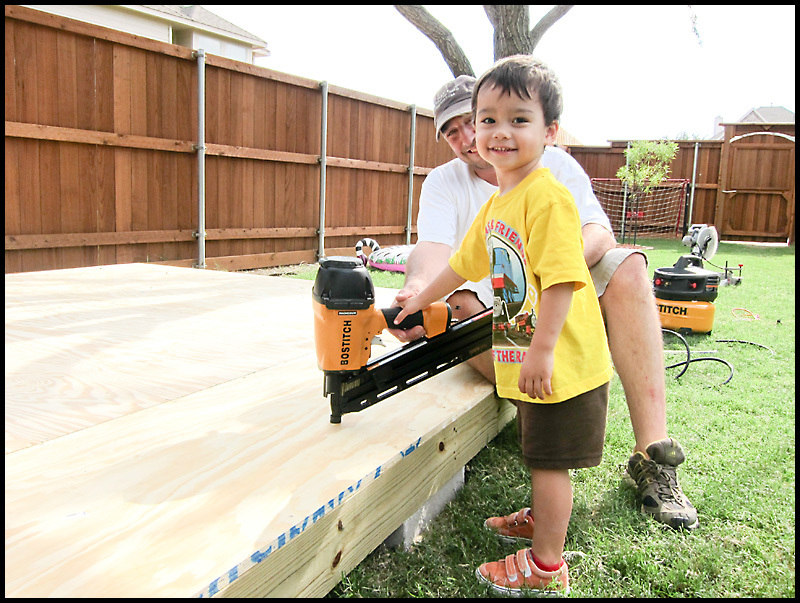 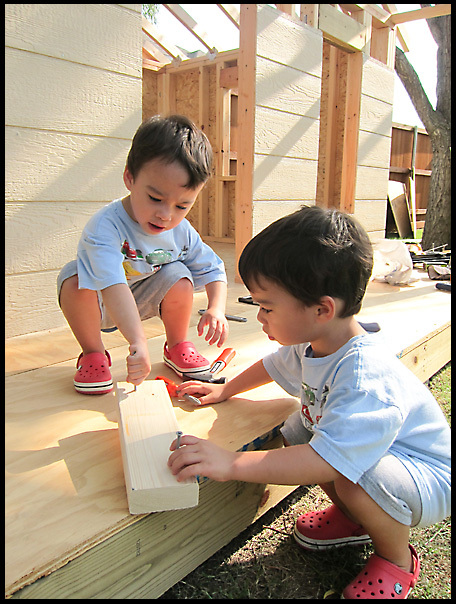 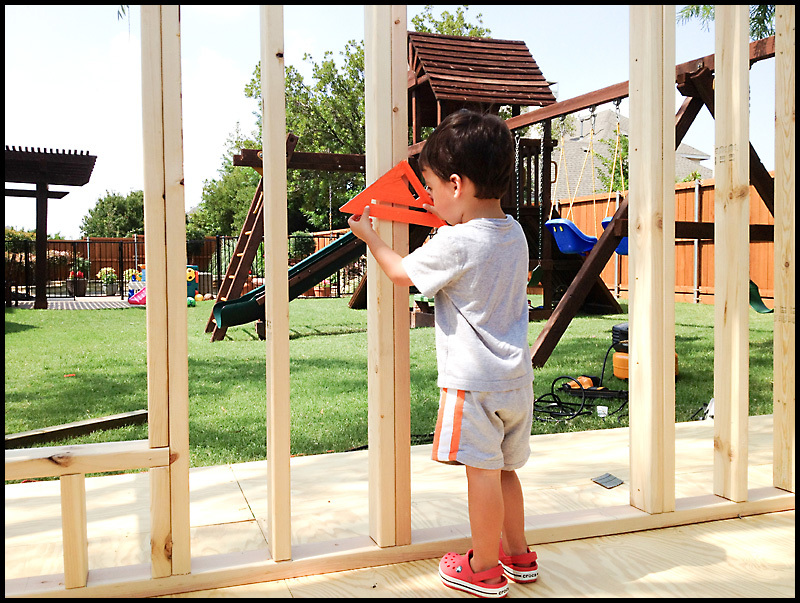 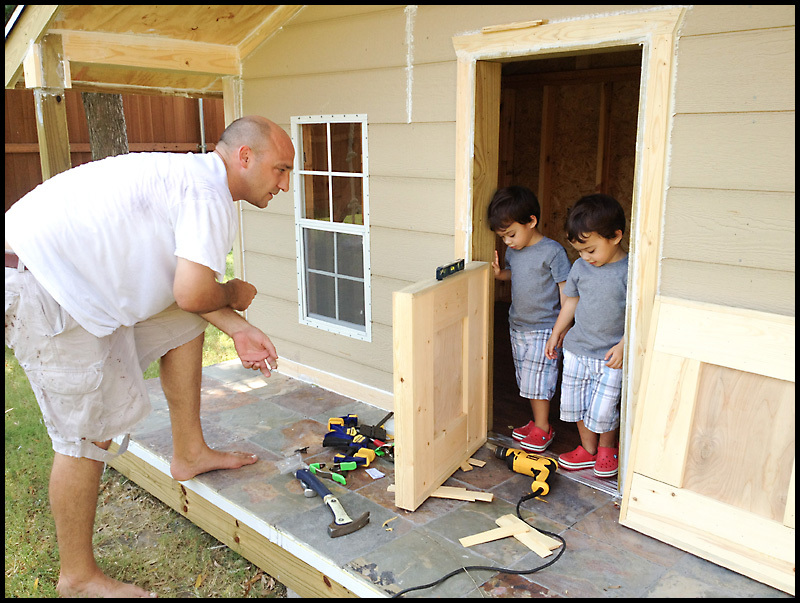 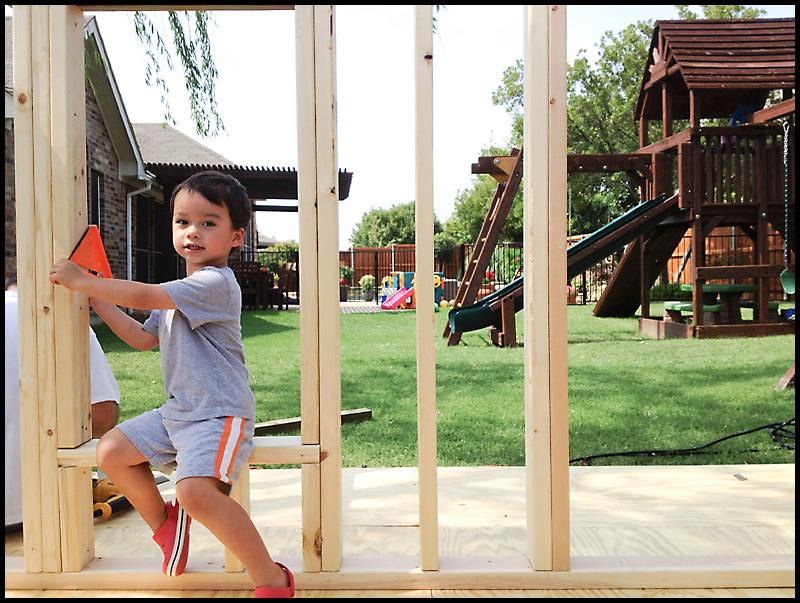 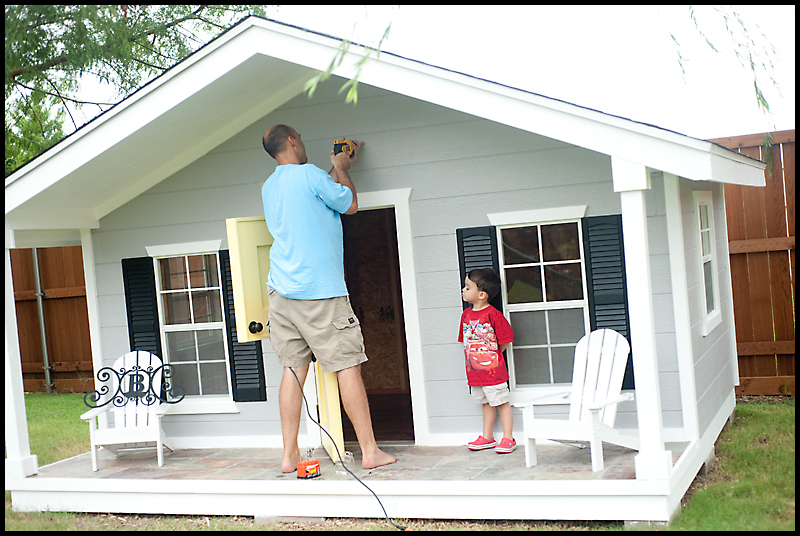 Ben looks like he's thinking, "Oh, will this playhouse ever be done?!" 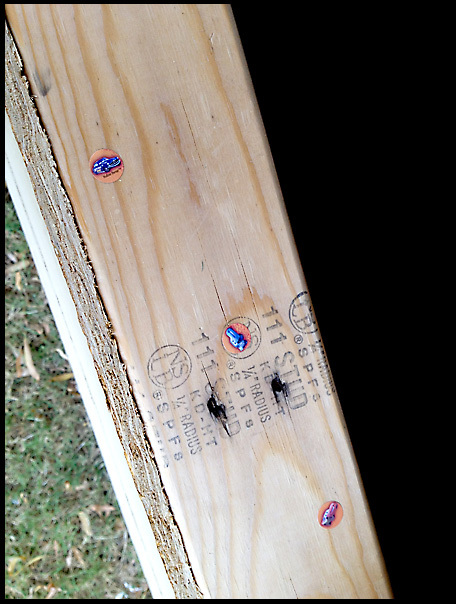 Upon close inspection, we found that the boys had already started decorating their playhouse with stickers! 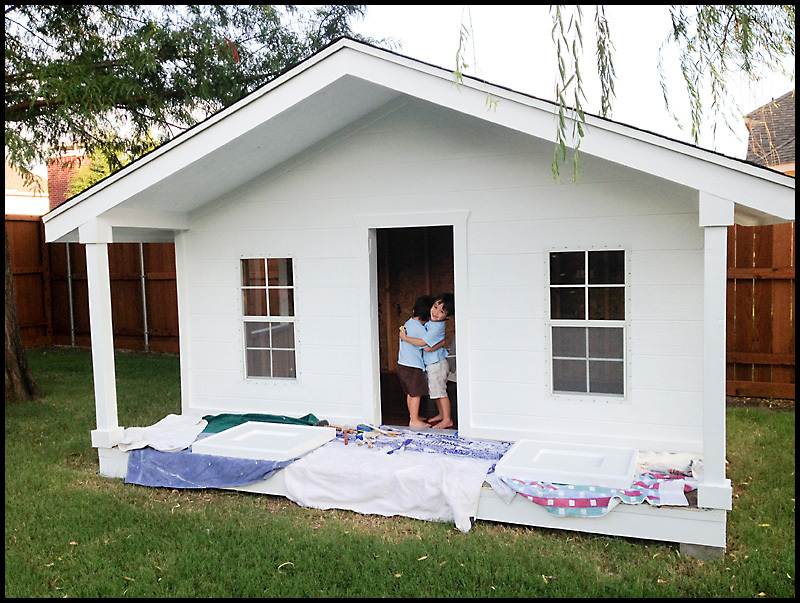 ...and paint! 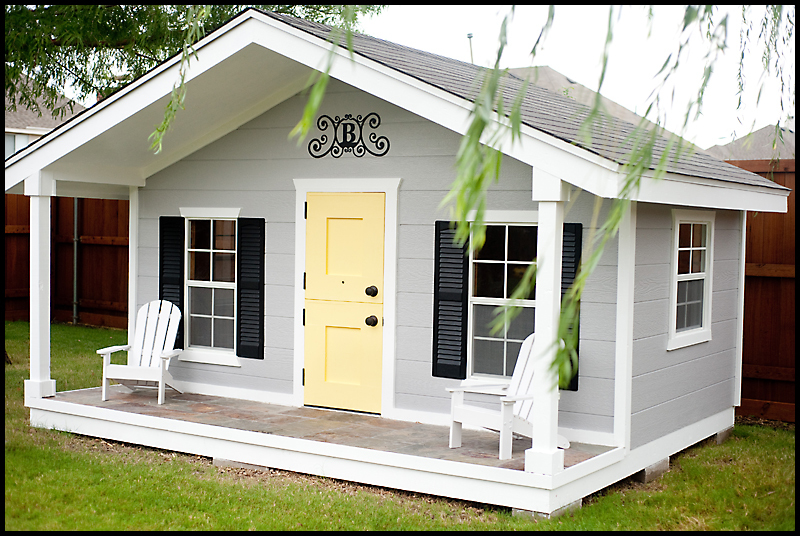 Then, daddy topped it all off with a peep hole in the door, black shutters around the front windows, and a wrought iron "B" sign above the door! 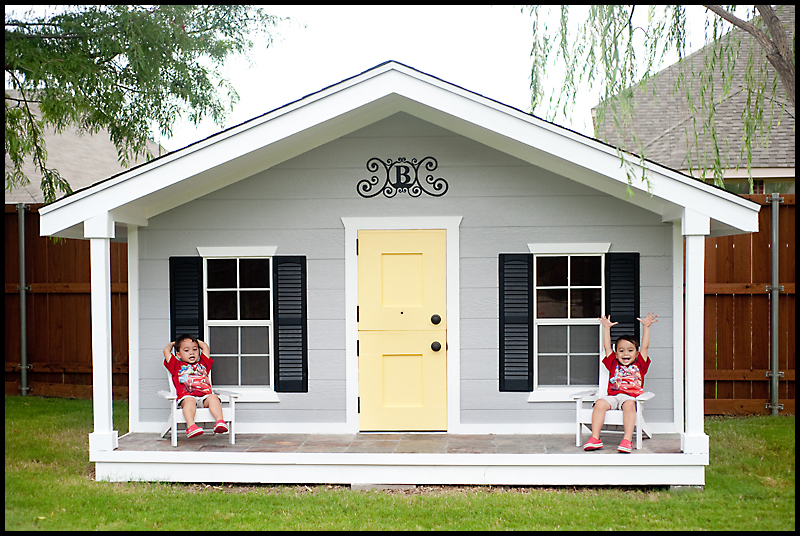 Two happy boys lounging on their very own porch! 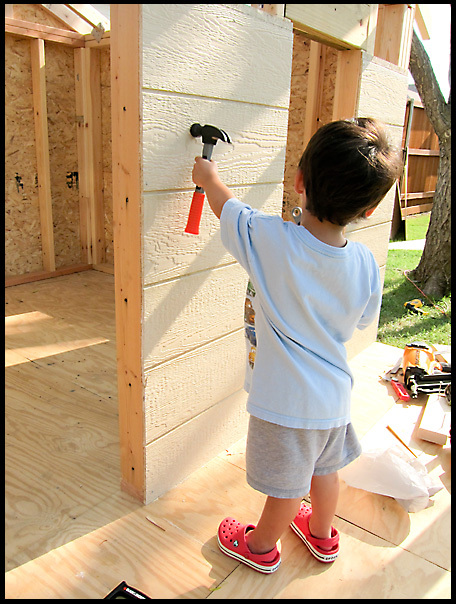 Well, daddy thought he was done, until mommy decided the inside of the house needed to be dry walled! 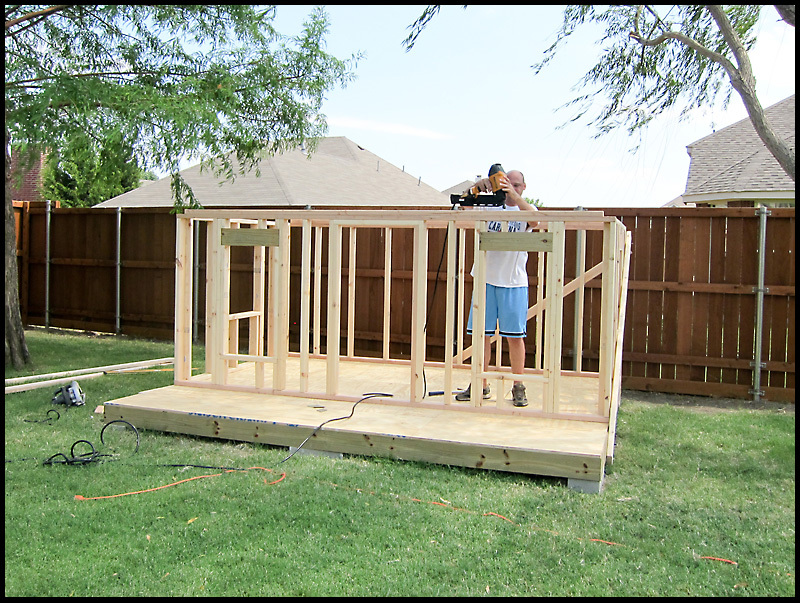 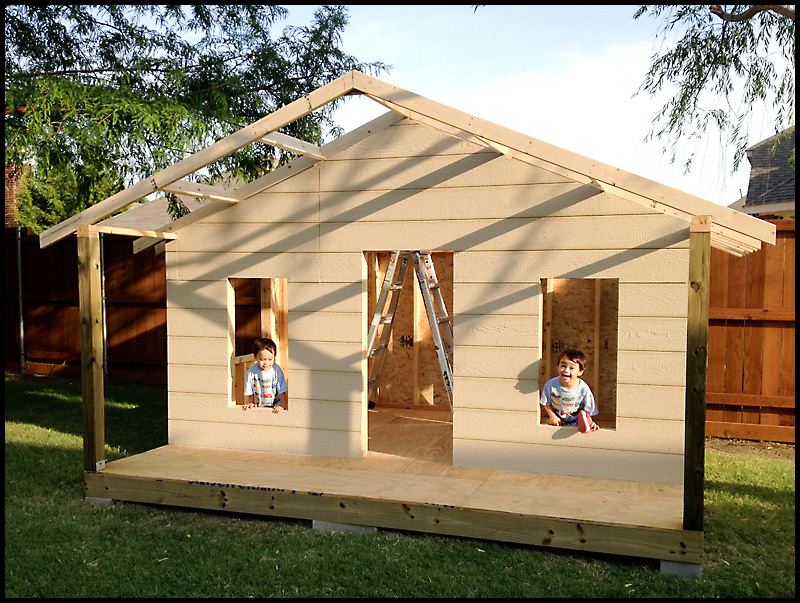 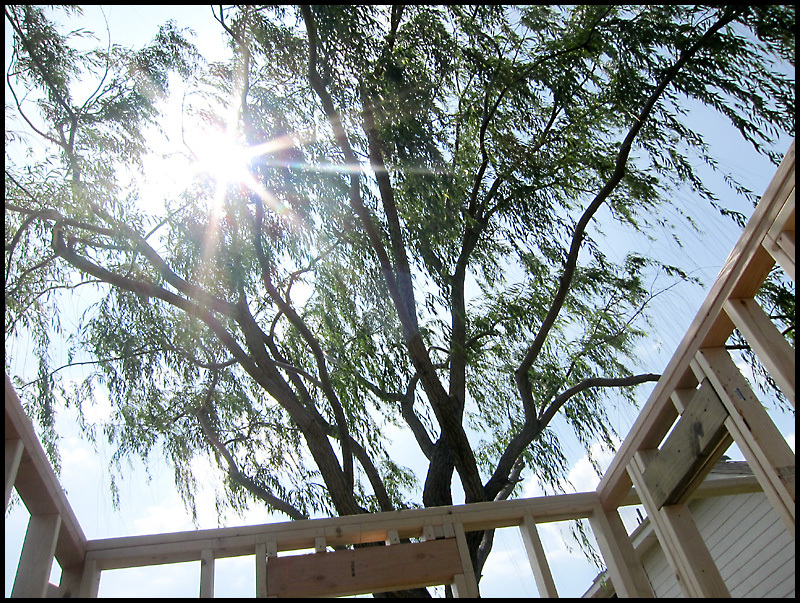 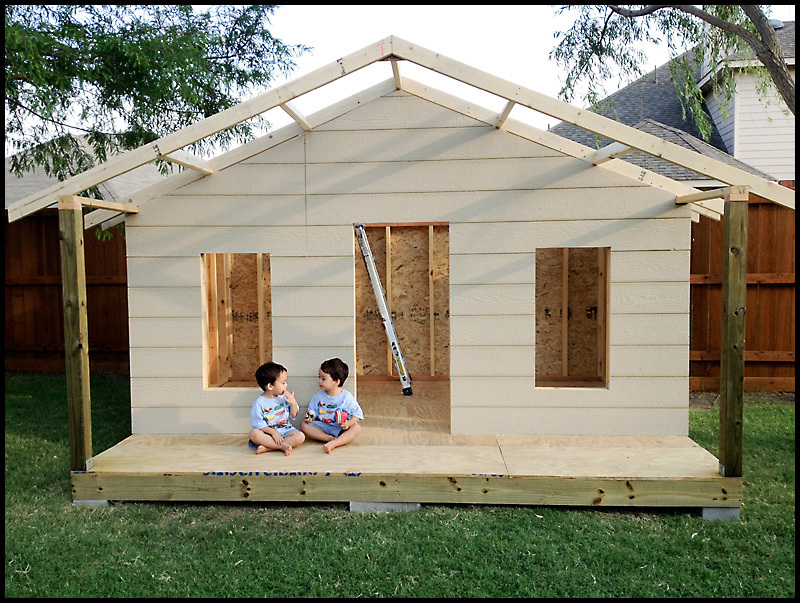 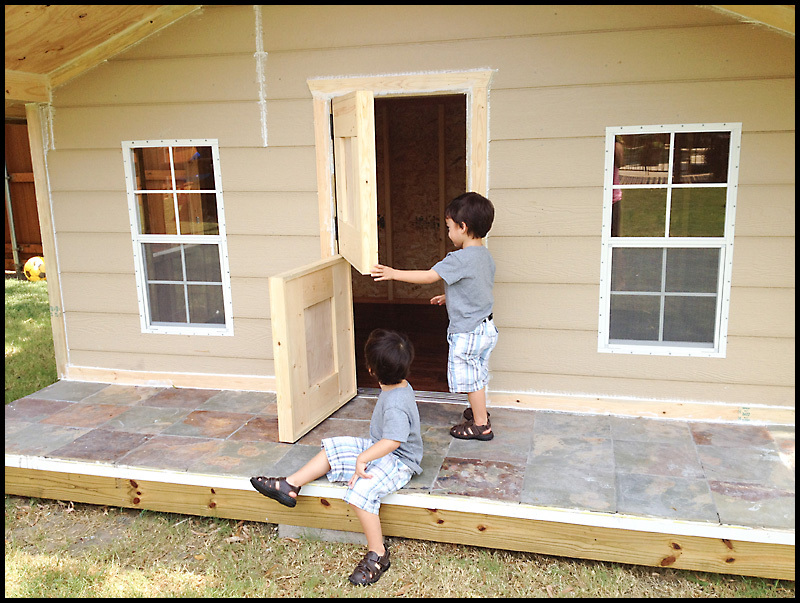 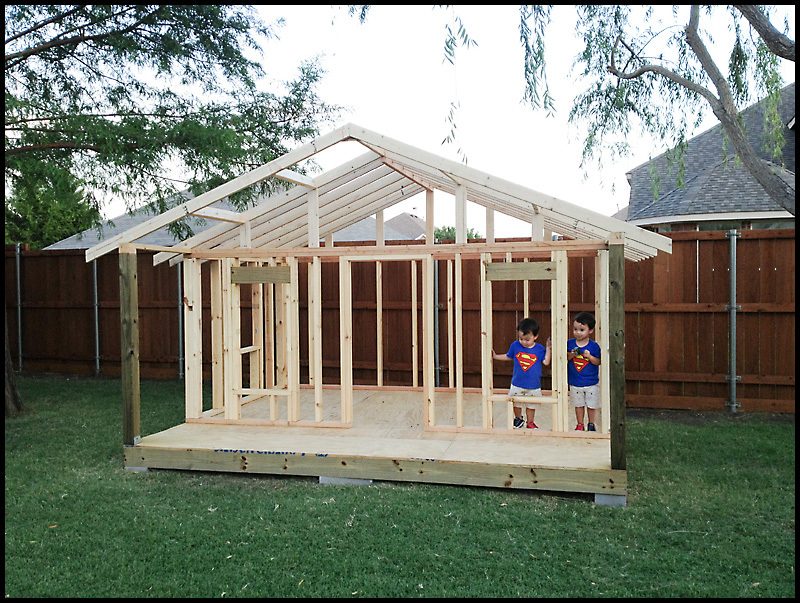 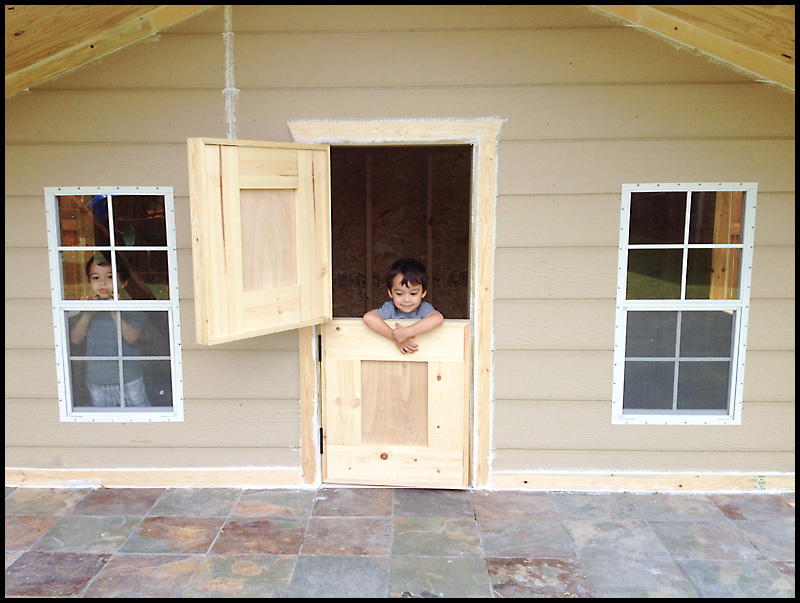 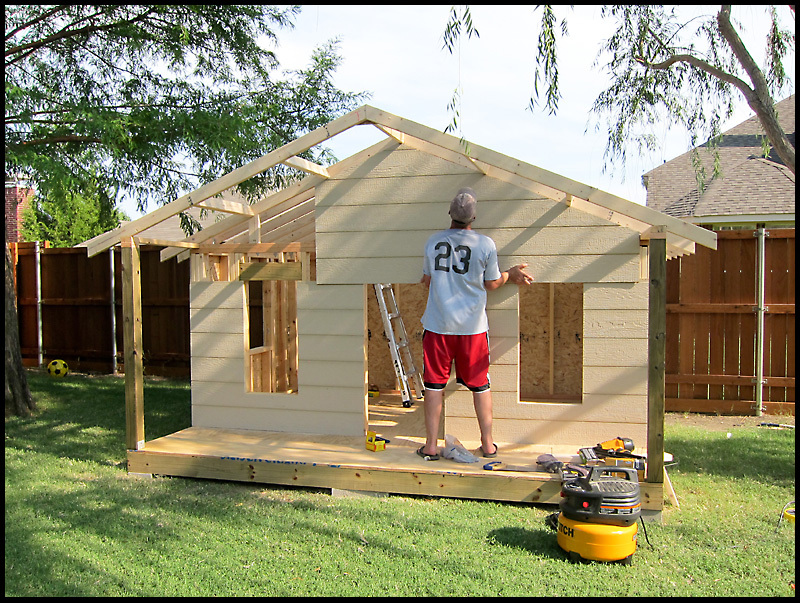 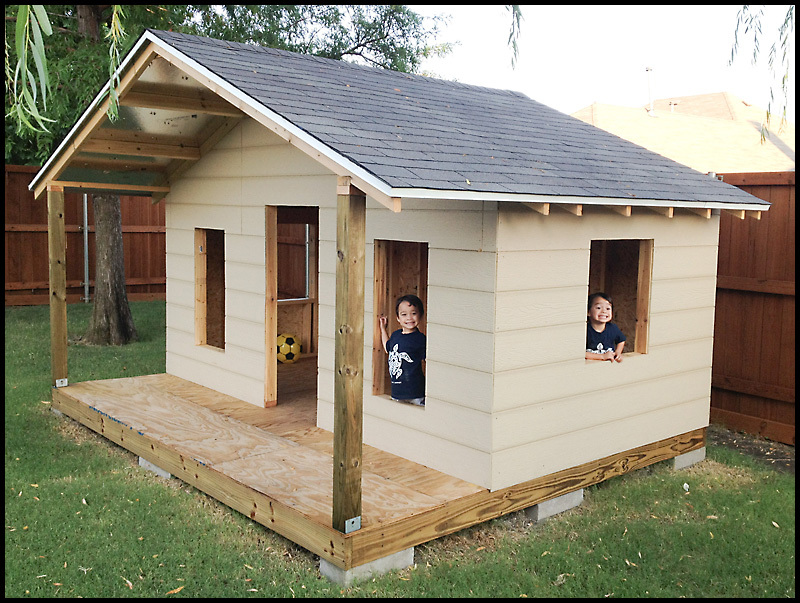 Love this playhouse, going to try to build the same one. 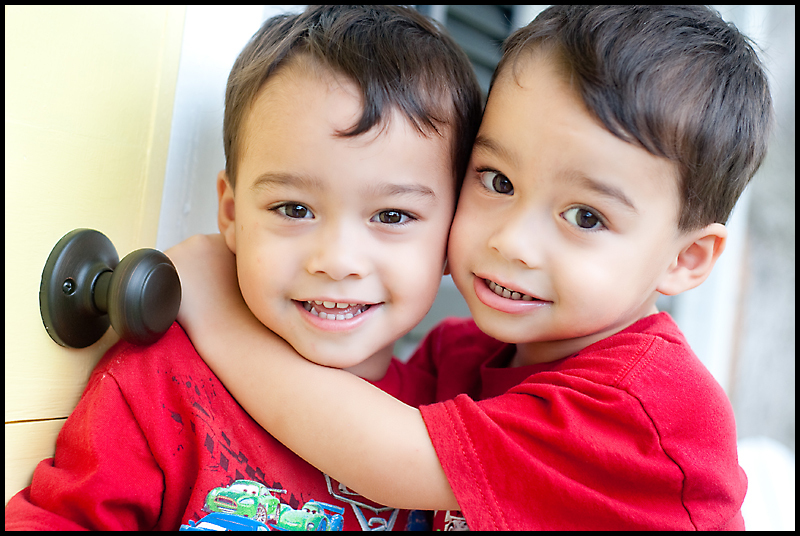 The twins are so cute in each picture, they are so lucky. 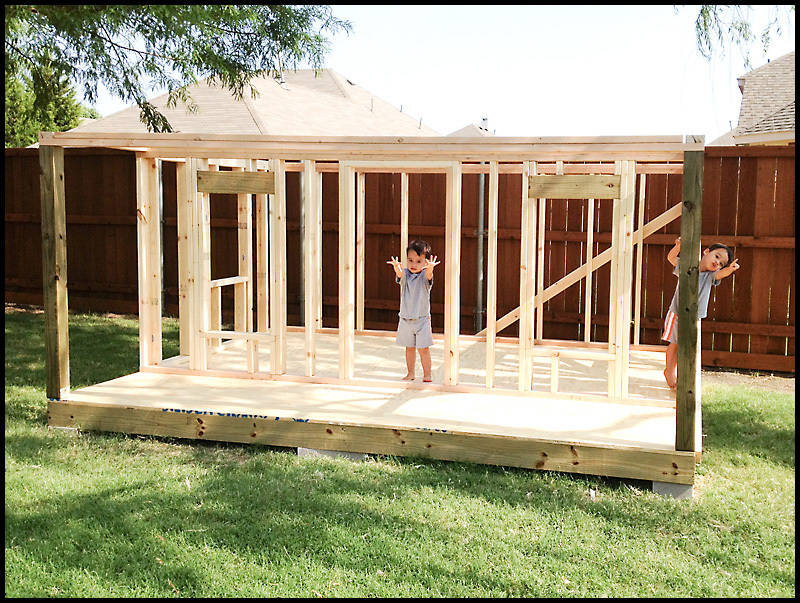 Wish there were a list of materials to help out.